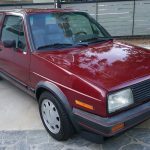 1987 was the year that the GTI started its climb up the weight and complexity scale with the addition of the PL 1.8 liter double overhead cam inline-4. 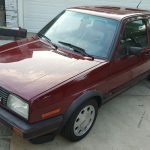 Now with 123 horsepower, Volkswagen continued its mid-80s trend of charging the customers about $100 a horsepower, resulting in a $2,000 increase in base price to correspond with the 21 horsepower jump. New “Silverstone” alloys which had debuted (like the motor) on the Scirocco were still 14″ x 6″, but looked the part with their signature teardrop machined look. Also carrying over from the Scirocco was the Fuba roof-mounted antenna; something which would become a call sign for fast VWs for the next two decades. The lower valences, both front and rear, were painted matte black, further highlighting the red-stripped bumper covers and accented by a deeper front spoiler with twin brake ducts. 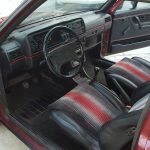 The red theme carried over to the “16V” badges surrounding the outside and highlighting the inside; a new red-stripe velour and leatherette sport interior kept the passengers planted. 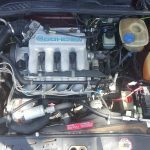 While the 21 horsepower increase didn’t sound like a lot, the 16V was a case of a car which outperformed its numbers on paper and felt much quicker than it might have appeared. 0-60 was gone in a tick under 8 seconds and the GTI would gear-out at 124 mph. Car magazines proclaimed it the best GTI yet, though many pointed out that it was also getting quite expensive. 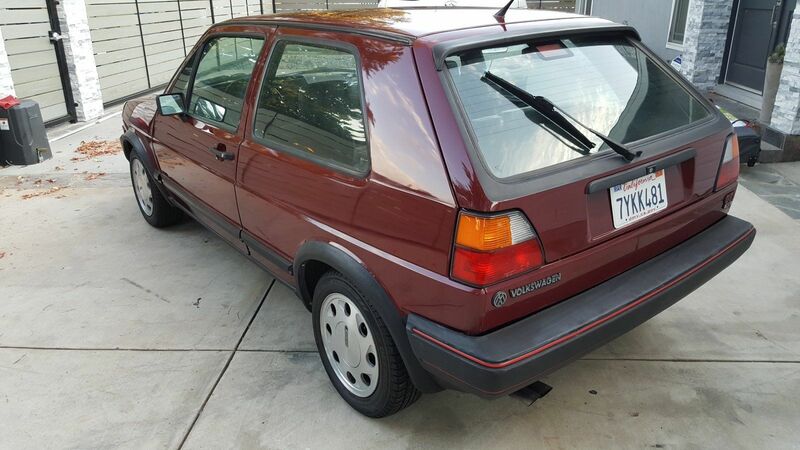 Though still popular, not quite as many of these A2 GTIs seemed to hit the market, and finding clean, original examples today like this beautiful Red Pearl Mica example? You guessed it, exceptionally hard. I would like to add that the car is 100% stock. 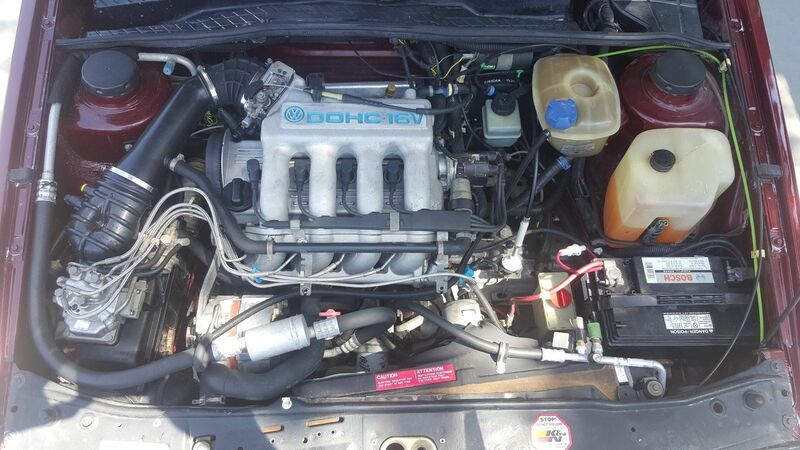 Nothing has been modified, any parts that were replaced were done so with OEM only parts. All tuning was set to factory specs. I believe that the car spent most of its life in the dry southwest so there is zero rust visible anywhere, not even a little bit. Will this GTI give you ‘FahrvergnÃ¼gen’? I would think it just might be the ticket! This Westmoreland-built example is one of the very earliest, with a February 1987 build. 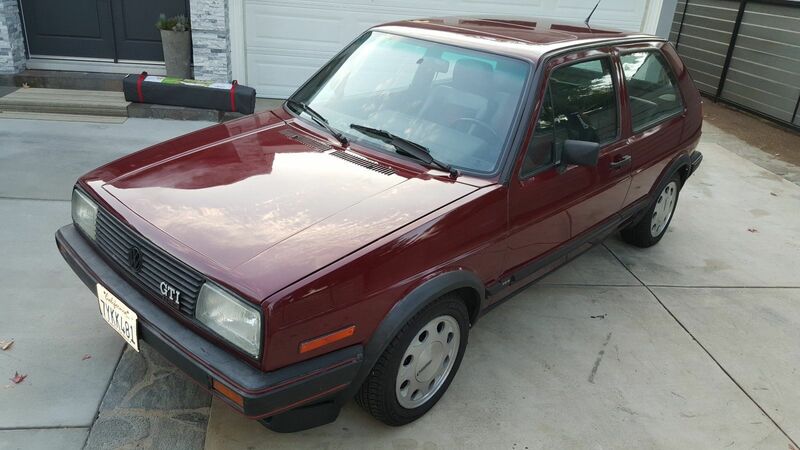 As I’ve discussed in prior posts, the ’87 model is unique with its 7-bar grill and corner vent windows. While Tornado Red might be more ubiquitous with the GTI, I think the Red Pearl Mica and the even more rare to find Blue Mica (a $750 option!) are the colors to have on the pre-big bumper GTIs. 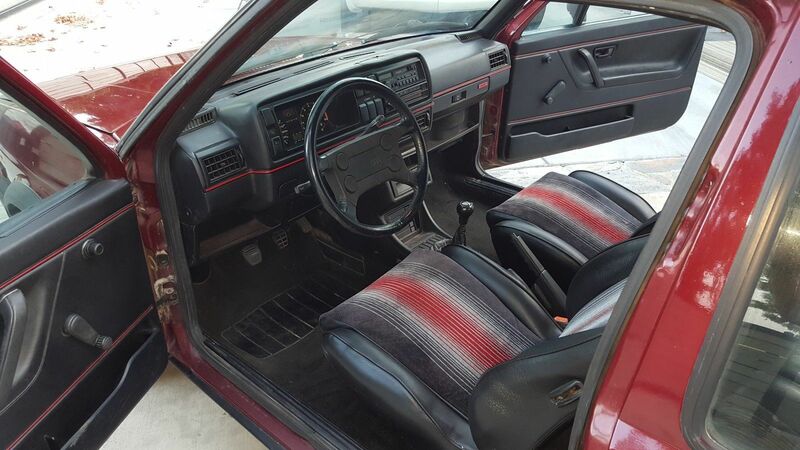 Condition throughout is top for a driver-quality car that could certainly be shown on occasion, I see a missing driver’s side seat flip lever, and the door cards are a bit haggard. One shot of the rear corner on the passenger side displays a lot of orange peel; somewhat typical for VW paint jobs which were far from great in the 1980s, but I wonder if there was a respray at some point. The seller has performed maintenance which is great and added Euro headlights, but unfortunately resorts to the standard “AC charge” line. Still, there appears to be little to complain about overall, and the bids recognize that – at time of writing, with two days to go, just past $4,200 on the no reserve auction. 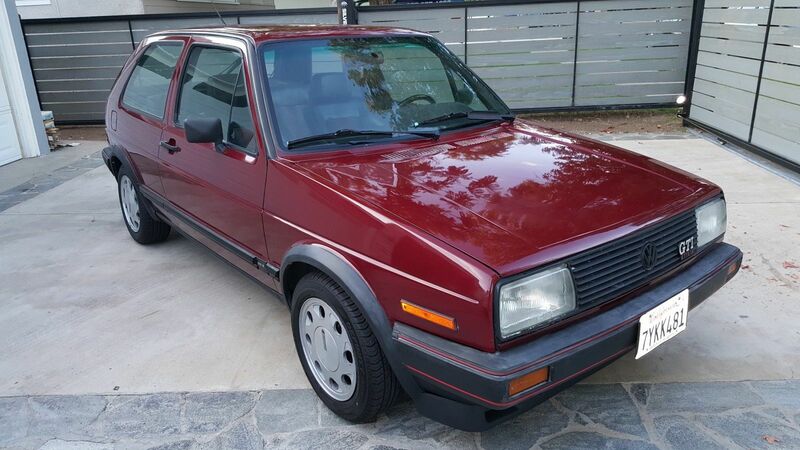 The early A2 GTIs don’t have quite the pull of the later 2.0 models – both literally and figuratively – so I’d guess this one will run out of steam around $5,500 – $6,000. 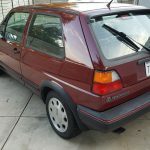 Tagged 16v, 1987, A2, GTi, Hot hatch, LE3P, legend, Mk.2, PL, Red Pearl Effect, Red Pearl Mica, Silverstone, teardrop.